Tokyo, Japan - At the IFA consumer electronics show in Berlin, Germany, scheduled to begin from Friday, August 31 (local time), Sony Corporation is set to showcase an array of its latest products featuring cutting-edge technology. Sony unveiled WH-1000XM3, the newest addition to the 1000X series of wireless noise cancelling headphones. This new model boasts major improvements to its industry-leading Noise Cancellation technology*1 with the newly-developed HD Noise Cancelling Processor QN1 to deliver approximately four times greater performance. The newly-developed component can not only negate low-range noises from airplanes, but also further cancels mid to high-range noise such as street noise and human voices. The inclusion of a high quality internal headphone amp for the HD Noise Cancelling Processor QN1 realizes stunning high sound quality. Customers can comfortably immerse themselves in their music anytime, anywhere. Elsewhere in the wireless headphone category, Sony showed off the WF-SP900 truly wireless sports headphones. The water-proof*2 and dust-proof*3 WF-SP900 features an internal memory, letting customers play music from their smartphone with Bluetooth® connection or no device at all, even while swimming in the ocean. Sony’s Signature Series represents the culmination of Sony’s most refined technologies in pursuit of sound excellence. Its array of audio products brings music to life just as the artist intended. In this category, Sony added the DMP-Z1 digital music player and the IER-Z1R in-ear stereo headphones. DMP-Z1 utilizes a high-output analog amplifier and a unique independent power system to deliver the ultimate sound. IER-Z1R boasts a frequency response of up to 100 kHz playback for an unprecedented level of immersiveness. Sony will also introduce the IER-M9 and IER-M7 in-ear stage monitor headphones initially in the US and Asia*4 starting this autumn, which deliver the sound quality, sound isolation, and stable fit that artists seek during a live performance. In the TV category, Sony announced the launch of the BRAVIA® MASTER Series in Europe from September, which seeks to fully convey the creators’ intent as originally envisioned. The AF9 series of 4K OLED TVs and the ZF9 series of 4K LCD TVs are equipped with the Picture Processor X1™ Ultimate that features approximately twice the real-time processing capabilities of the current high-end models. It brings out the very best of OLED and LCD display features. The AF9 series comes equipped with the Pixel Contrast Booster, which faithfully reproduces pictures with deep blacks and high luminance. The unique and advanced audio technology, Acoustic Surface Audio+ realizes new immersion through the addition of an actuator to the center of the screen, as well as a TV Center Speaker Mode*5 that makes the sound audible right from the center of the screen. The demo will introduce WH-1000XM3 wireless noise cancelling headphones, BRAVIA*6 with a built-in microphone that enables hands-free voice search, the EXTRA BASS™ series SRS-XB501G smart speaker with the Google Assistant built-in, the HT-ZF9 sound bar with Amazon Alexa control compatibility*7, and more. Sony’s ever more convenient and diverse array of voice assistant-compatible devices will be shown off in a host of different indoor and outdoor scenarios. *1As of August 30th, 2018. According to research by Sony Corporation, measured using JEITA-compliant guidelines. In headband style of wireless noise cancelling headphones market. *2Water projected by a nozzle against enclosure from any direction shall have no harmful effects when Swimming Earbuds are attached (IPX5). Additionally, submersion in water of up to 2 meters in depth for up to 30 minutes shall have no harmful effect on the device (IPX8). *3The headset, when Swimming Earbuds are attached, has been tested to block and continues to block dust after stirring for 8 hours in a testing device which contains dust particles (IP6X). *5This feature requires a separately purchased home theater system. *6Currently supports English, Japanese, Spanish, French, Italian, and German. *7Through a software update currently scheduled after autumn 2018. 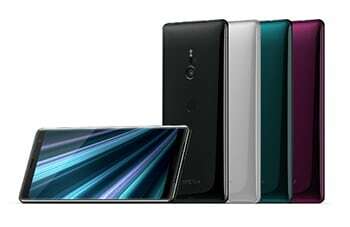 Sony Mobile Communications unveiled Xperia XZ3, a new smartphone in its flagship range featuring a curved 3D glass design that seamlessly blends the OLED display. It will be rolled out to various countries and regions from late September 2018*8. Xperia XZ3 comes with a HDR-compatible 6.0-inch OLED display, featuring a QHD+ (2880x1440) 18:9 aspect ratio. 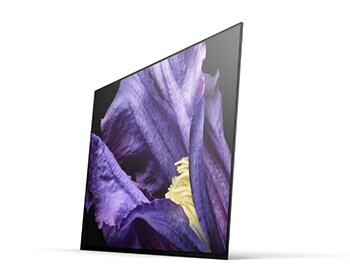 Users can enjoy absorbingly beautiful images enabled thanks to the award-winning BRAVIA OLED TV technologies. In addition, advanced X-Reality™ for mobile will “up-convert” SDR content to near HDR so even when users are streaming online videos, they can enjoy a high-quality playback experience – and when combined with the more powerful front stereo speaker and Dynamic Vibration System, this provides an unparalleled entertainment experience. *8Availability will vary by country or regions. DSC-HX99 and DSC-HX95 are the two newest models in the Cyber-shot® series, which will ship　in Europe from October. Each comes with the world’s smallest*9 ultra-compact body as well as a ZEISS® Vario-Sonnar T* 24-720mm*10 high magnification zoom lens. Offering everything from wide-angle to super-telephoto in a single package, these are the perfect portable companions for stress-free photography whether traveling or in everyday life. In addition to internal recording of high-resolution 4K video footage*11, the latest image processing system enables high speed continuous shooting at up to 10 frames per second*12 and highly accurate Fast Intelligent AF. Other new features include Eye AF technology, RAW format output, touch focus/touch shutter*13, as well as supporting the location information link*14 via Bluetooth®. *9Among fixed lens digital cameras with a built-in viewfinder and telephoto end 700mm or above (angle of view, 35mm format equivalent) lens. As of August 30, 2018 press release, based on Sony research. *10Angle of view (35mm format equivalent). 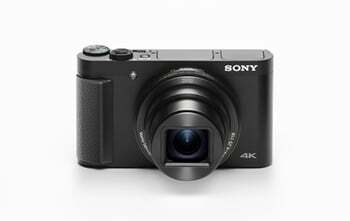 *11Class 10 or higher micro SDHC/SDXC memory card is required to record movies in the XAVC S™ format. UHS-I (U3) is also required for recording at 100Mbps. Android smartphones (Android 5.0 or later and compatible with Bluetooth 4.0 or later), iPhone/iPad (iPhone 4S or later/iPad 3rd generation or later).